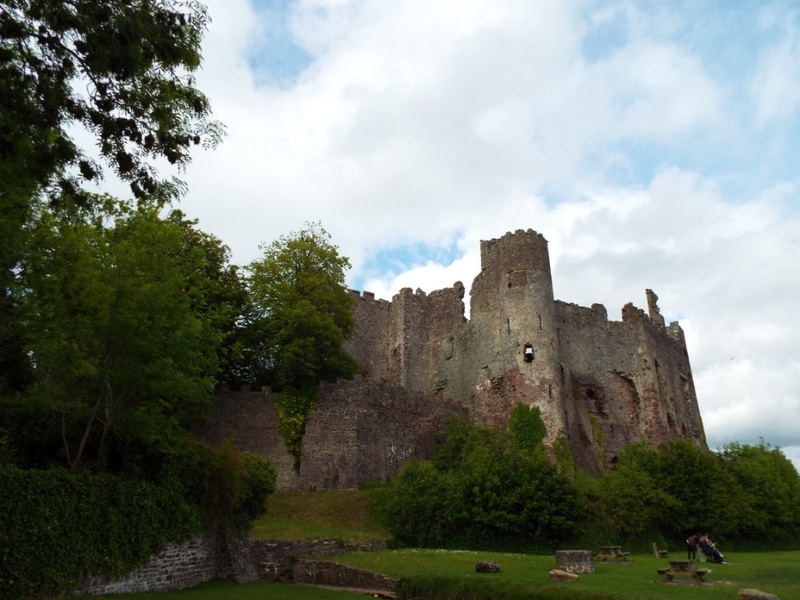 Laugharne Castle, Carmarthenshire, once the home of Robert Courtemain and the place where Henry II met the Lord Rhys of Deheubarth in 1189. Much of the castle today was built in the thirteenth century under the de Brians and was later extensively modified in the Tudor period. in the cobbled lane round the back for Mr Jones jolly to return from jaunts with jugging jars of ale alternative. where men now ride faster on destrier unimaginable in my mounting days. out on the light, limpid water, seabirds in the sunshine linger. before Llewelyn by destruction laid it low in later years. held calm in deep Carmarthenshire long after they were gone. from the tourist’s tipping hand. happily diverting mind from home, home from men. so men can dream that you’re the one. 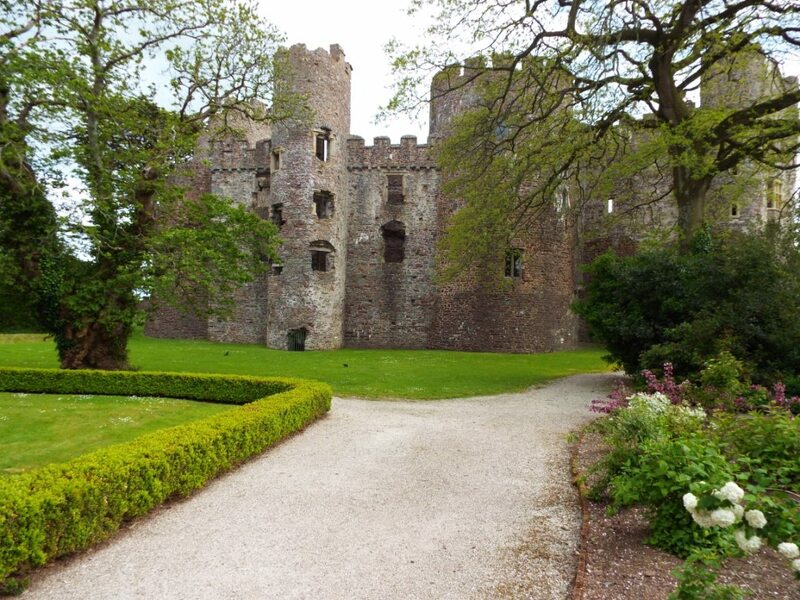 Laugharne Castle, Carmarthenshire, once the home of Robert Courtemain and the place where Henry II met the Lord Rhys of Deheubarth and which, upon Henry’s death, was seized by Rhys in 1189. Much of the castle today was built in the thirteenth century under the de Brians and was later extensively modified in the Tudor period. 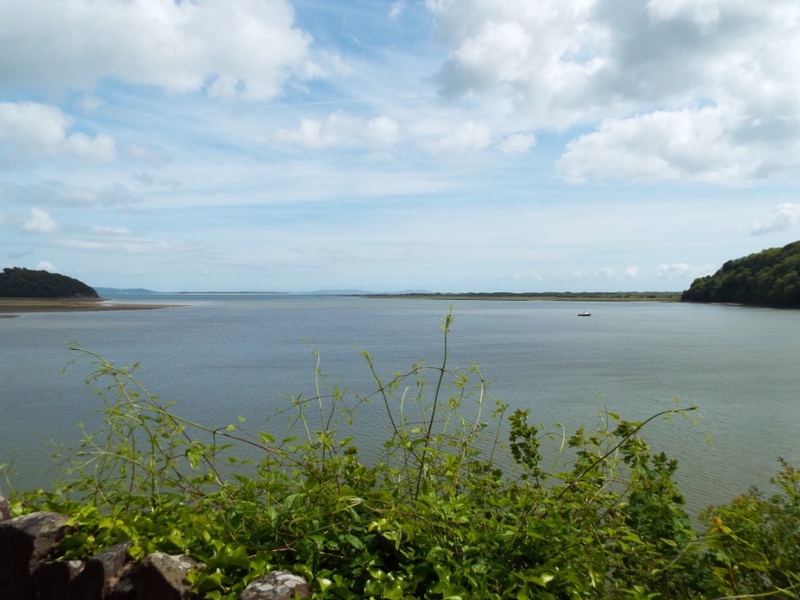 This view of Laugharne is the one which most who visit take back as their abiding memory of the place. It is certainly dramatic. The entrance to Laugharne Castle today; until fairly recently, the castle was in a much worse condition and covered in ivy. Thankfully, the ivy has been removed and the ruins consolidated. 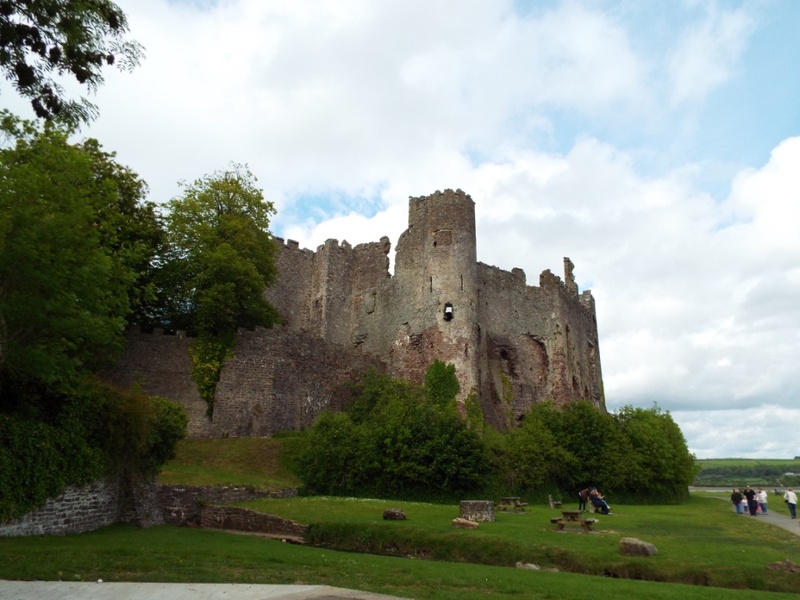 Laugharne today is more famous for the man who lived here than the Lord Rhys who seized Laugharne Castle in 1189. 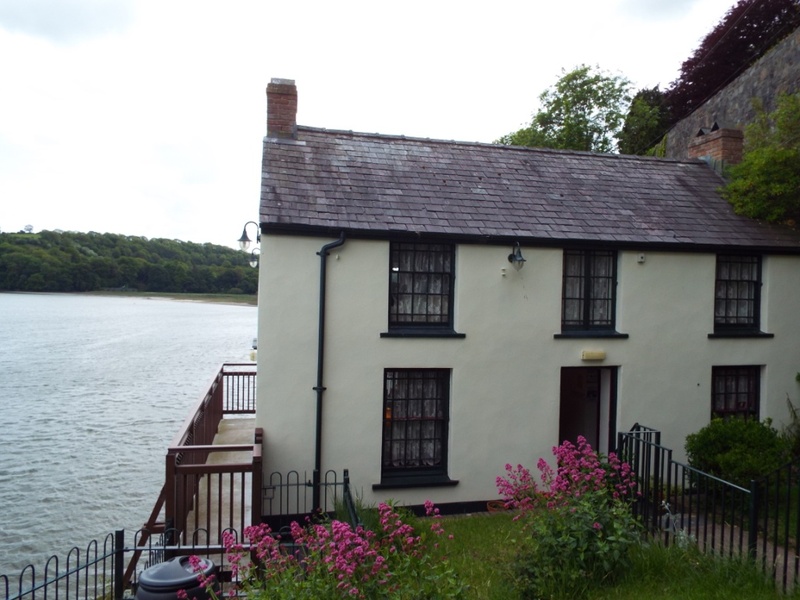 Dylan Thomas, creator of Under Milk Wood and other magnificent poetry lived in this beautiful spot at the end of his career. 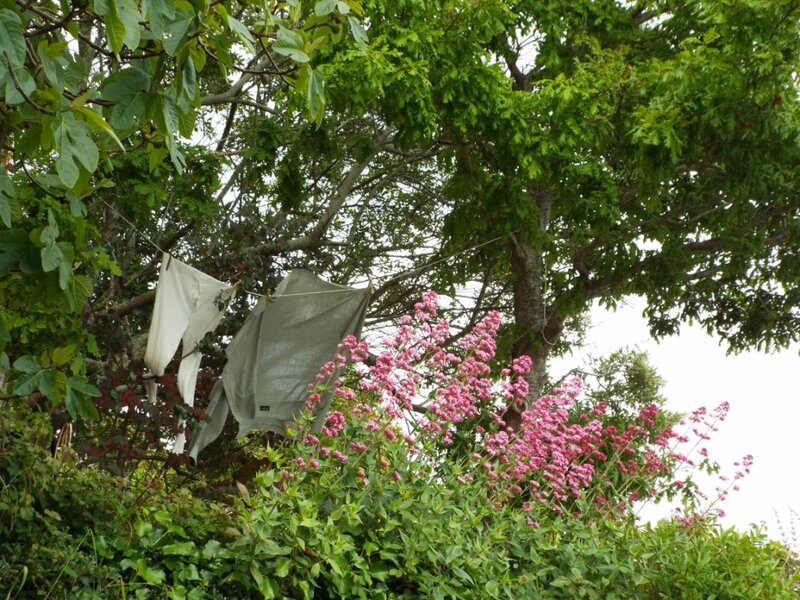 The banality of life, so much of which was celebrated by Dylan Thomas, is summarised in these garments, hanging in the breeze at the Boat House, Laugharne. The Lord Rhys ap Gruffydd certainly had a great reason to capture Laugharne other than taking the castle itself; the view is quite wonderful. Through Logres and across the crowing hills from Camelot, le Gringalet takes me deep into Gwynedd. Here, paths peter out in passes steep and the roads which you rely on rise up into the mountains to disappear in the mists, mounds and moss. And it is just here, when the world seems but a whisper that the warriors of Wales still live on in the crumbling castles and commotes of Hywel Dda, “the Good“. In the centuries which have slowly passed since I was sealed in this world, there are few sights which cheer me more than the soaring mountains of northern Wales. Turn your eyes to the eagles’ eyries and there, stone circles, walls and castles catch your straining glimpse. For in Wales it is not town life which predisposes the populace but places picked from the hillsides, remote and unforgiving.Those names conjure times I recall even more freshly than the few stones which now feature there: Castell-y-Bere, Cricieth, Carndochan – halls of the princes whose lands these once were. But one above all rises in emotion high and legend long, loyally keeping guard over the hearts of the people: Dinas Emrys, the hill of Ambrosius. 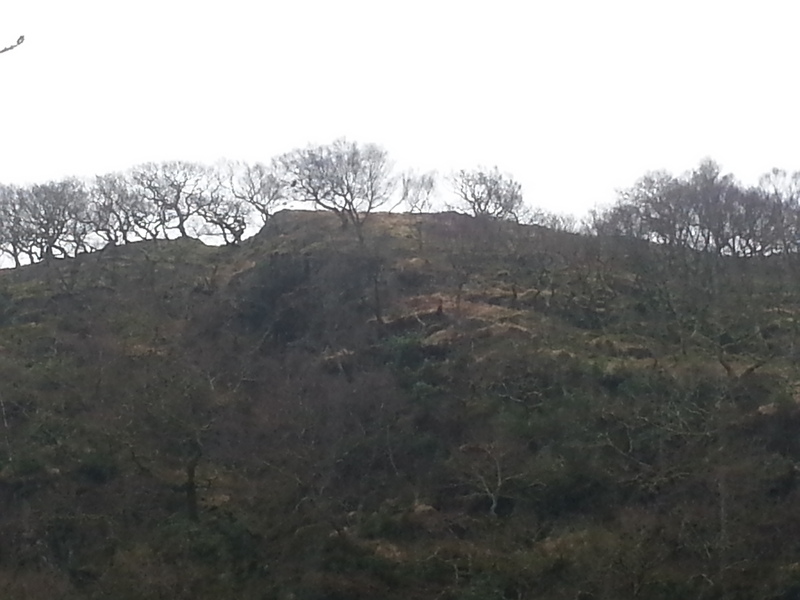 The Mound of the Magician, Merlin – Myrddin Emrys. I can tell you of magic marvels here at this mountain place, biding its time as the burgh of Beddgelert, for I saw these things happen. Where now a tumbled tower tottering, once a fine keep – the finest in the mountains – fit for the Sycharth-singing salutation of our fellow Iolo Goch, had he lived in those times. But friends I burrow further back and bide with Vortigern who did a city buildeth here when from the Saxons he retreated. Vortigern the valiant was so advised as to build a citadel so strong that none so serving would with soldiers take it. But boulders built blew down and the maths of masons could not that castle master. Each time they built it, each time that hill would eke out its substance and tumbling it fell down. Anguished, Vortigern sought solace from advisers and action demanded. And so they said that strength would come only from the spilled blood of a small boy, sacrificed on this sparse hill. I recall well how that boy stood up to our sire strong and would not his blood-spill let. “For I am Ambrosius, artful and astute – and I alone can assist you at this hour”. And so it is that in Wales the dragon red is in heraldry hailed as the high standard of those who Cwmraeg speak. But history tells us that Vortigern well vanquished was and in the valleys the Britons by reduced circumstance fell amongst themselves in petty squabbles and fighting. The Welsh, the true people of Britain, languished warring for centuries as brothers wielded sword against brother and many thus were killed. In their ceaseless combat, the cold knights of Wales may in themselves be those dragons compelled for ever to fight each other as Britain round them falls. So now at Dinas Emrys only eerie silence assaults the ears and the pool in which those dragons fought is but a miry marsh muzzling in the moss of that Welsh hill. 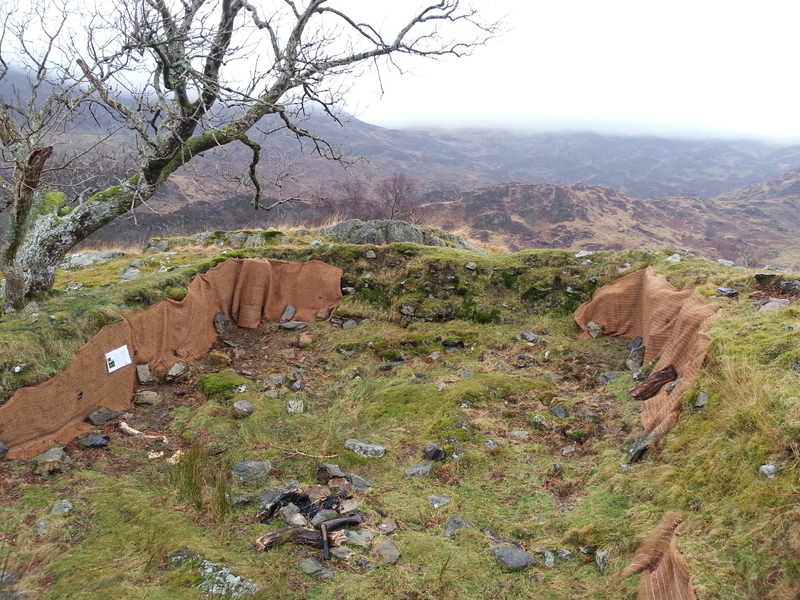 This stone enclosure is of uncertain age. Built near the pool, some have suggested it was the original enclosure which held the dragons – but it may be a small dwelling or sheep pen. 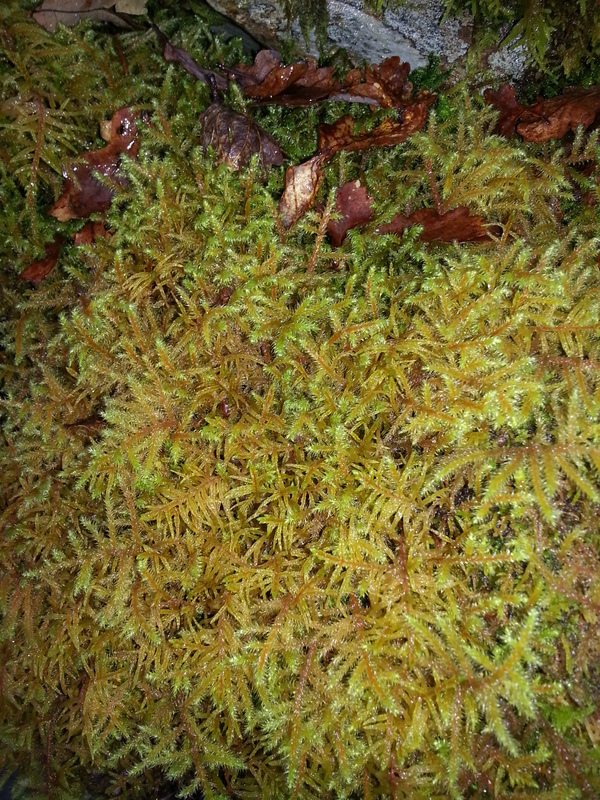 The clear, clean air of North Wales encourages moss of all kinds in the damp air. 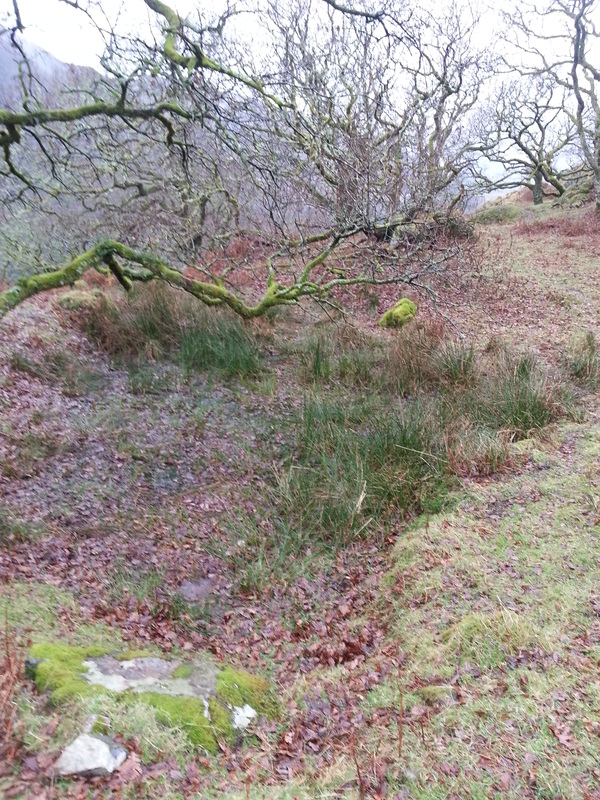 These footings, perhaps 6 feet high from the inside are all that remains of the mediaeval keep at Dinas Emrys. 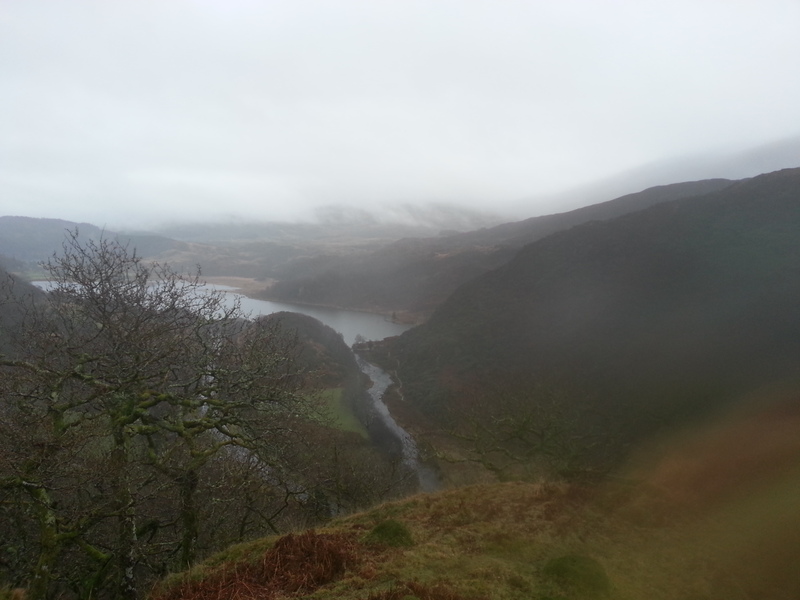 A typical Welsh day, encapsualting the myth and mystery of the ancient Welsh people. Dinas Emrys is protected on all sides by the hills. 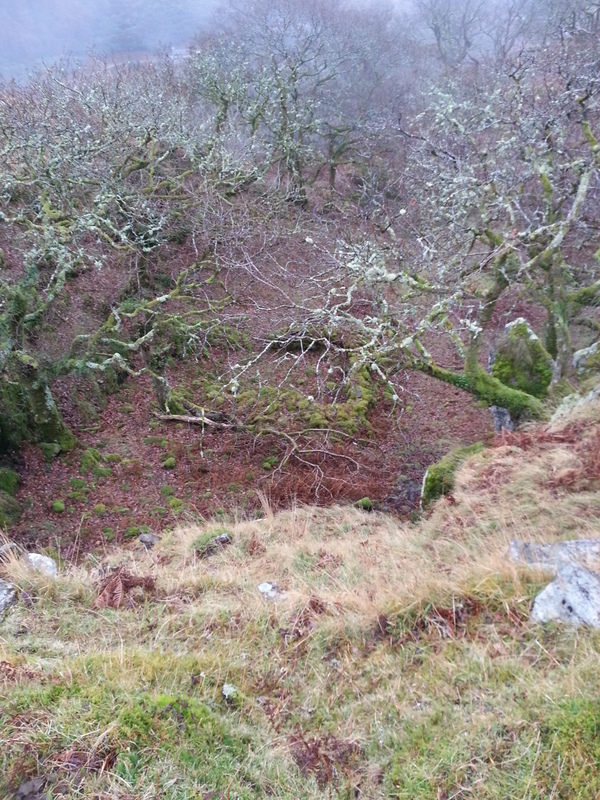 Here we look down on the area in which the pool resides which held the red dragon and the white. 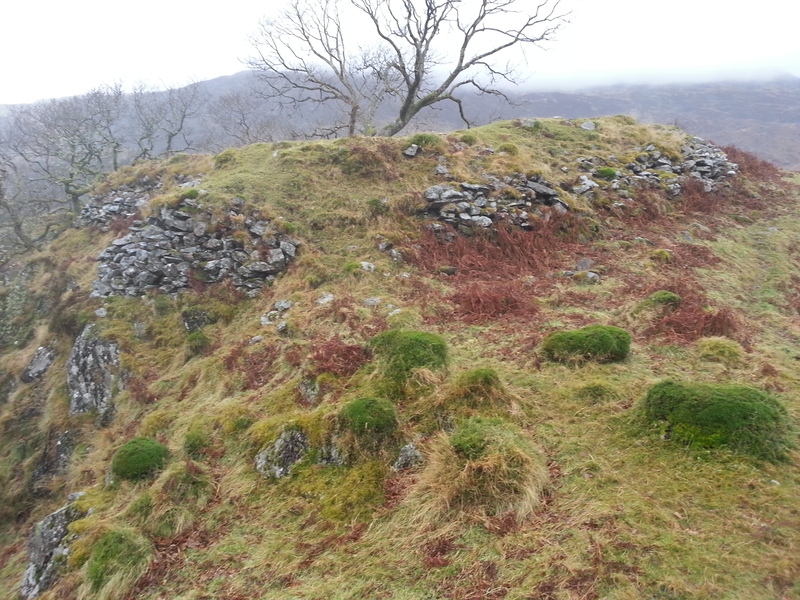 The footings of the keep at Dinas Emrys – all that now remains of the mediaeval fort here. 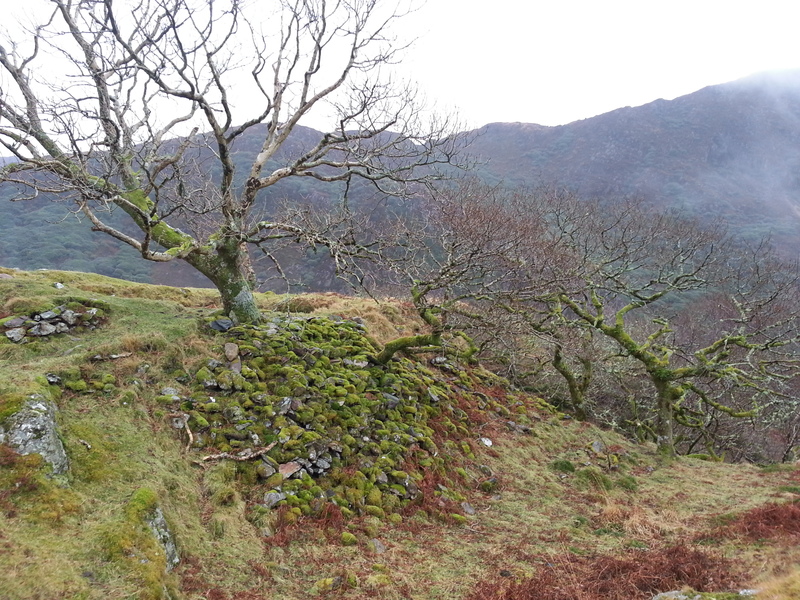 One Hundredth Post – Location Feature: Castell Dolbadarn Part 3. What is it about Wales, dear reader, that conjures in the mind the mysteries of medieaval Britain? Is it the fact that it is bound from Prestatyn to Chepstow by that great dyke of King Offa of the Saxons – sealing it off from England like a great curtain of earth across the marches? Is it the looming mountains shrowded in mists and rain which evoke a land almost beyond the land – a true Valhalla for the scented isle of Albion? Or is it the dark secrets and stories which my old friend Geraldus Cambrensis liked to tell over the fires at night time? Whatever the reason, Wales was – and is – a land of magical beauty, and a land where my blood still runs and where my head turns in search of the true Britain which I seek and pray for in my travels. Here, on le Gringalet, I chose to visit again the very land which perhaps defines what scholars have called the Matter of Britain and, perhaps, the ultimate legendary home of my true king, Arthur – King of the Britons. The last time I was down this way, the only view of Dolbadarn I saw was through the slit of my visor. These were troubled lands in troubled times: Edward Longshanks had builded such a wall around the north of Wales that few could prize themselves from its iron grip. To the west, Caernarfon, Beaumaris, Harlech and even Cricieth. To the north, Conwy, Rhuddlan and Fflint. To the east, Chirk and Builth. To the south, Aberystwyth. The fingers of that great lord tightened stone by stone and the long days of Llewelyn ap Gruffydd – seen by many as the last true Prince of Wales – were coming to an end. At Orewen Bridge, alas, he died a lonely and somewhat ignominious death at the hands of Stephen of Frankton, a low-ranking knight (and not of my acquaintance). But let us not dwell too harshly on those days – it repays us not to boil resentment in a cauldron long since cooked dry. Instead, let us see what still remains in majesty to look down upon the great pass of Llanberis: the great tower of Dolbadarn, built by Llewelyn Fawr, Llewelyn the Great. In true form, of course, Dolbadarn is a classic castle of the Welsh. It is not sophisticated, indeed it is somewhat crude and yet, like many of the great English castles set within their landscape, this is a castle of statement. 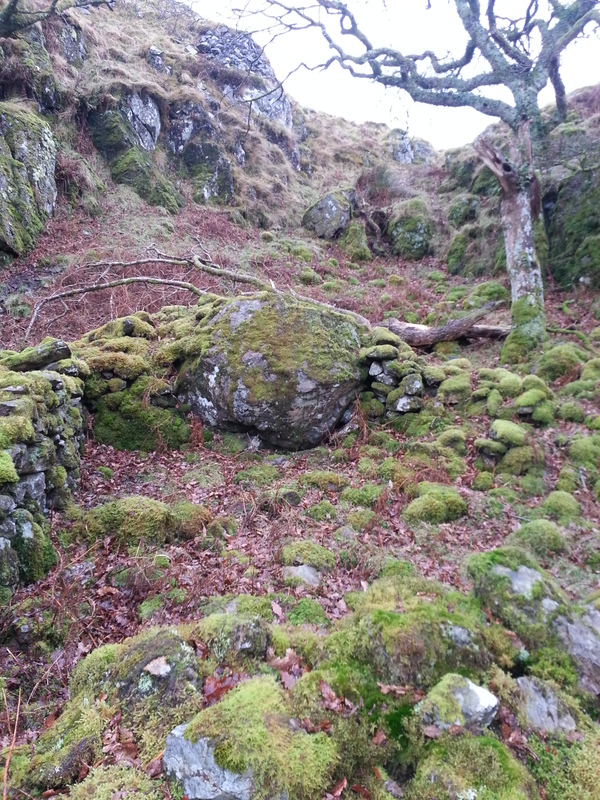 Unlike Ewloe, strangely hidden in the woods near Chester, Dolbadarn is unafraid. It is a proud place and, no doubt, was built so to be. It is not built to high up the Pass, for in winter it would be inaccessible. It is not built too low, for it would be too exposed. No, it stands proudly in the centre of the Pass, visible from both ends and from the glistening Llyn Padarn below – a statement of ownership of this damp, wet and looming landscape. In my time, I remember well this compact castle and the cluster of huts and houses around its base. Alas, like the captains and the kings, the princes and their lovers, they have long gone but the tower still remains – enough so in my mind to see it as once it was. The steps leading up to its entrance have changed but once at the entrance it still makes me smile to see provision for a portcullis. Clearly, what the Welsh may have lacked in money they made up for in craft and were still capable – as at Dinas Bran – of adding complex features to even the simplest of buildings. To a wood fort on a hill top. Dolbadarn, a ruin now, still sings its song to all who care to listen when they venture up the Llanberis Pass in search of beauty now instead of war. While its outer walls are but mere foundations, its tower is like a siren song for all in search of simple, yet profound, majesty. Note: For modern travellers, the remains of Dolbadarn are now managed by Cadw. Be prepared for some steep car-parking charges (fees charged by the day to cater for hill walkers) at a large car park just below the castle. I believe the original castle car park is still open where you can park just to visit the castle itself. 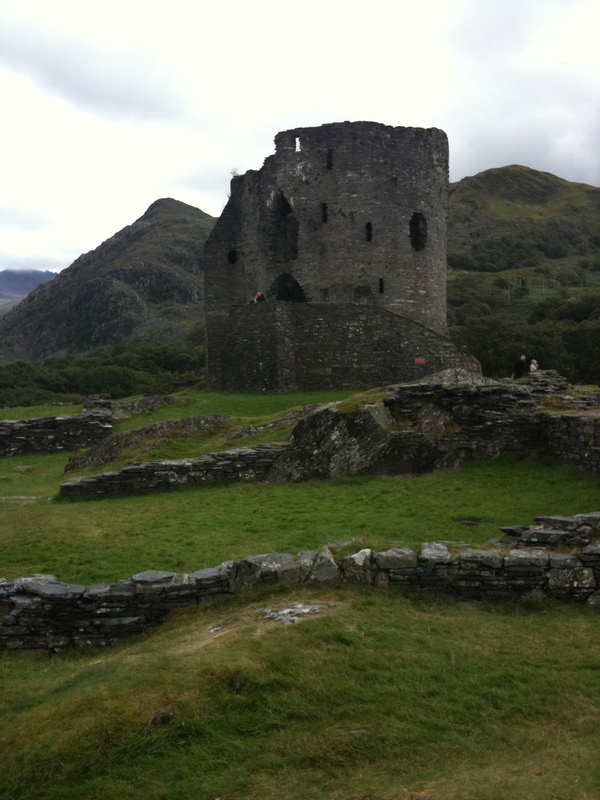 SEE INSIDE DOLBADARN: Follow this link from author Owen Law who is writing his first novel: follow his links to his You Tube video of the keep’s stark interior!